Enjoy sipping your morning coffee from your cozy arm chair beside the Amish Woodland Shaker Chairside Small End Table. Equipped with just the right amount of surface space, this conveniently-sized table craves the presence of your drink coasters atop its sturdy, solid hardwood top. Take a break from traditional dining and partake in a delicious meal while watching your favorite movie, reaching for your plate with ease as it rests next to you on your new Amish chairside table. Lounge next to this beautifully handcrafted, genuine Shaker table and get the most out of your living experience. Do your household a favor and provide as many surfaces as possible! 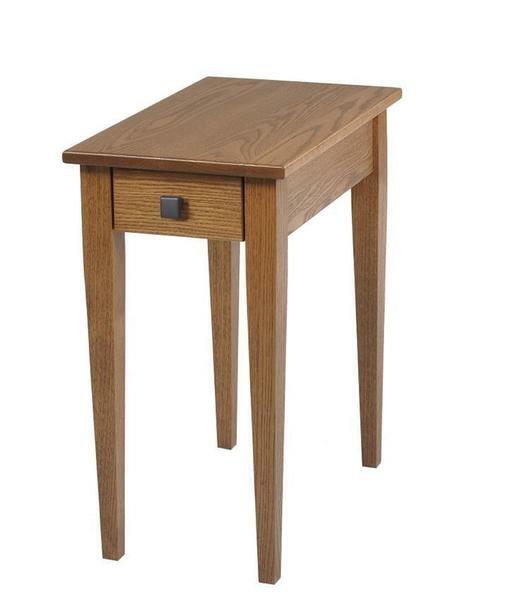 Check out our Amish Woodland Shaker Coffee Table! If you're on a mission to spice up your home with accent tables, be sure to read our blog post about accent tables serving as design statements. Call our Amish furniture specialists with questions or visit us at our store in Sarasota, Florida!